Eli is in his third and final year of journalism and is the Editor-in-Chief, after being the Opinions Editor last year. Eli has always been a passionate about writing and wanted to be able to make a careers out of it. 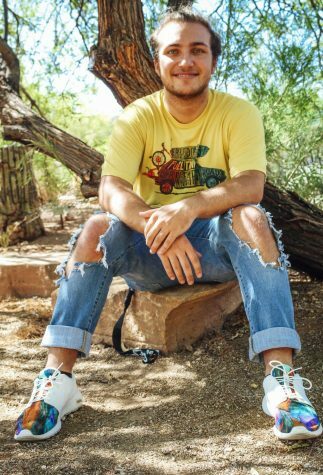 He is going to attend NAU after this year and study journalism and documentation. In his free time, he likes to take pictures as a freelance photographer, hang out at coffee shops, listen to music, and play Xbox with his friends.